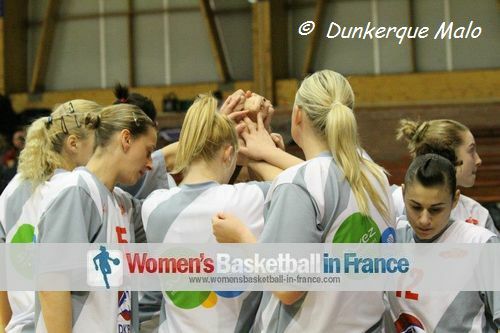 Dunkerque Malo pulled off the biggest win in LF2 round 17 with a 6-point victory against Roche Vendée. Elsewhere Cavigal Nice and Léon Trégor cruised to comfortable victories while Reims BF and Pau Lacq Orthez were made to work hard for their wins. Léon Trégor struggled to impose themselves during the first 15 minutes in their encounter with the CFBB. Trailing (13-14) at the end of the first quarter, they were able to take control leading into the break (38-32). The CFBB - attempting to be aggressive - turned the ball over 26 times to give their opponents more shooting chances. Léon Tregor were not brilliant but were not in danger of losing the match and won (78-58). 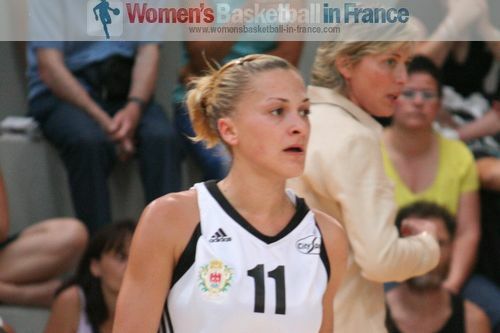 Marie Butard from Léon Tregor was in a class of her own with 26 points and 7 steals. Dunkerque Malo won for just the second time at home in LF2 this season by beating Roche Vendée (77-71). The match did not flow as the officials blew 47 fouls and awarded 63 free throws during the contest. Dunkerque won the free-throw competition with 32-from-39 against 13-from 24 for Roche. Former Latvian youth international Dace Pierre-Joseph and Mélissa Micaletto led the scoring for Dunkerque with 21 and 20 points each. Johanna Tayeau, one of two players from Roch Vendée to foul out, led her side in scoring with 17 points. Cavigal Nice had beaten Limoges at home earlier in the season by 45 points. Again they did not give Limoges much chance in this game either. They went 10-of-14 from behind the arc during the first 20 minutes to lead (52-37). The 10 three-pointers were shared by six players. Limoges on the other hand were 1-of-9 for the whole game. Cavigal Nice did not hit many more three-pointers during the second half but finished the match with a perfect 12-from-12 from the charity stripes as they cruised to victory (86-56). This week it was the turn of Elodie Decker (in picture) to shine for them with 21 points. The best L2F game of the weekend turned out to be the shoot-out between Reims BF and US Laveyron. Reims were leading (13-5) after four minutes and defended their advantage the rest of the way. They were shooting from all corners of the court, taking a total of 75 shots, 15 more than their opponents. Emmanuelle Gorjeu (20 points) with 5-of-8 from behind the arc and Anita Meszaros (24 points and 15 rebounds) were the leading two players for Reims. For US Laveyron who were without Elena Vishnyakova, the big scorers were Elodie Tadeuszak and Margot Joret with 18 and 16 points. 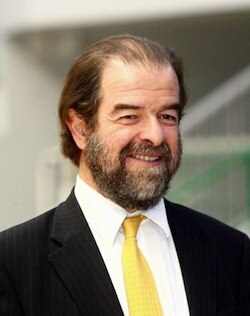 Reims' next home game will be in honour of their former president Bernard Lavergne who passed away almost two years ago. Leading (47-41) against their local rivals Pau Lacq Orthez with three minutes to play Angers were almost home. However a trey by Mariame Dia, followed by 2 points by Ingrid Bunel sent the game into overtime. The momentum stayed in favour for Pau all through overtime as they held on to win (62-56). However this is not an LF2 match that is remembered for long, Angers' shooting percentage was only 25 %: they hit just 16 baskets from 64 attempts from open play. The remaining 18 points came from the free-throw line. Pau's shooting percentage was a little better with 22-from-61.